Developing the Mesolithic Research and Conservation Framework is an English Heritage funded project to update the archaeology community's priorities for future research into the period. In 1999 the first Palaeolithic and Mesolithic framework document was produced. Due to significant advances in Palaeolithic research, a new Research and Conservation Framework document was published in 2008 for the Palaeolithic alone, in which it was noted that Mesolithic archaeology had developed a distinct agenda and set of requirements. Since 1999, Mesolithic archaeology has indeed changed significantly: many important discoveries have been made and there has been increased interest in the period among both archaeologists and the public. A new Mesolithic Framework was deemed necessary. A project was set up with the aims of improving understanding of the Mesolithic period in England and setting out priorities for future work. This was to be carried out by undertaking widespread research and consultation in order to develop and publish a Research and Conservation Framework for the period, comprising resource assessment, agenda and strategy. Develop a method of monitoring progress against the framework objectives. 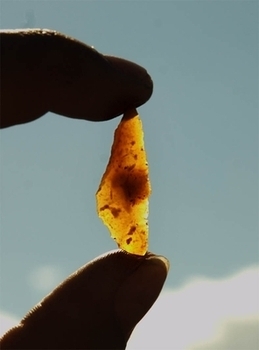 This archive, not only provides downloads of the key documents that were produced as part of this process, but also provides a means for monitoring progress into the future through continuous engagement with stakeholders, and acts as a "hub of information" for the Mesolithic period. The Assessment report and the Framework document were both constructed following widespread consultation via email correspondence and participation in an on-line discussion and we are grateful to all who provided comments. We would also like to thank the following people for giving their time, knowledge, images and feedback into the Framework document as part of the interested expert group from across the sector: Martin Bell, Fraser Brown, Chantal Conneller, Lynden Cooper, Oliver Craig, Ben Elliott, Tim Evans, Simon Fitch, Vince Gaffney, Daryll Garton, Jim Innes, Jonathan Last, Maria Medlycott, Andrew Myers, Matt Pope, Alan Saville, Sue Stallibrass, Rick Schulting, Penny Spikins, Fraser Sturt, Clive Waddington. The project was funded by English Heritage and we thank Jonathan Last who has provided much input and monitored the progress of the work. We are also grateful to the Department of Archaeology, University of York and in particular Claire McNamara, Claire Watkins, Jo Tozer and Ben Elliott who provided additional administrative support. We thank ADS for technical support and particularly Catherine Hardman and Tim Evans who have provided expertise on the production of this ADS website. We also thank the Council for British Archaeology and particularly Catrina Appleby, Frances Mee and Lucy Cavendish for producing the paper version of the framework.